The style of the furniture needs to be chosen with precise attention. This means focusing not only what you might like at the moment, or on an item that catches the eye, but on elements that can go well if the rest of your interior design. If the rest of your lounge space is decorated in a classic manner, buying a leather sofa from Himolla furniture, for example, would be a great option. Whenever you are viewing a particular item and are considering to buy it, take a look around your living room first and try to visualize the element placed there – only if it compliments the area perfectly you can actually proceed buying it. Regardless of how beautiful the design of a furniture piece might seem, if it is not designed out of qualitative materials, it will not fit well in your décor. Poor quality can be easily noticed, and you probably do not want your furniture to look anything less than amazing. Moreover, opting for cheap items is also not a financially wise choice to make, although it might seem so when you first make the purchase. Poorly qualitative elements will tear up and get damaged faster and much easier, making your initial investment not worth it. So, even if you might need to pay a bit more money than you would have wanted, going for high quality is beneficial in the long run. Whether you are buying from an online store or not, measuring the available space of your living room before ordering something is necessary. Because you probably do not want to end up with a sofa that is too big for the room, and makes the area look crowded, or a coffee table that is too small when placed in front of your couch, analyse the size of the items before purchasing, and make sure they are adequate for your needs. If you want to give your home’s lounge area a fresh touch by replacing some of the furniture items, having some buying guidelines in mind can help you out. Because the main elements placed in the area are the ones that can make the overall space as appealing and stylish as possible, they need to be chosen with care. 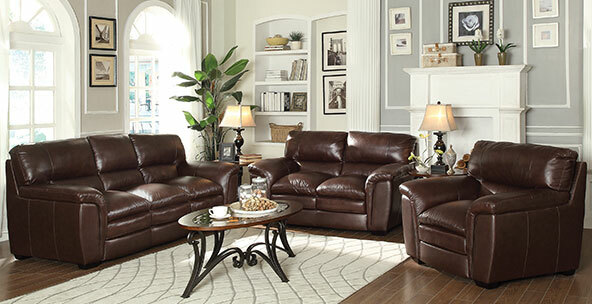 By following the above-mentioned tips, you will manage purchasing the right furniture items for your living room.